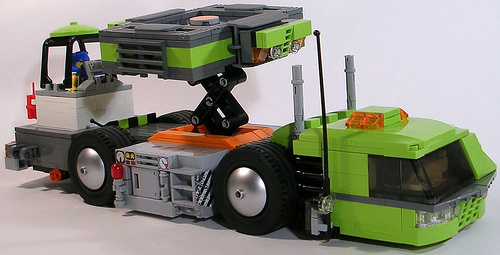 In contrast to earlier this year, I don’t think there are enough Power Miners LEGO creations out there. It really is a pretty cool theme. Brandon Bannerman (Catsy) seems to agree, having recently posted this Mobile Roof Support rig.